The RB26DETT. An engine of much myth. We are going to try and set out some truths. Remember to trust nothing you read on the internet, or is it trust everything that you read on the internet? side of the rear turbo. The piece that says RB26. Covers the timing belt. Not recommended to leave off. Aluminum on R32/R33. Plastic on R34. R32/R33 located at the back of the spark plug cover. Igniters are build into the coils in the R34. Coil on plug. R32/R33 are the same. R34s have the igniter built in. 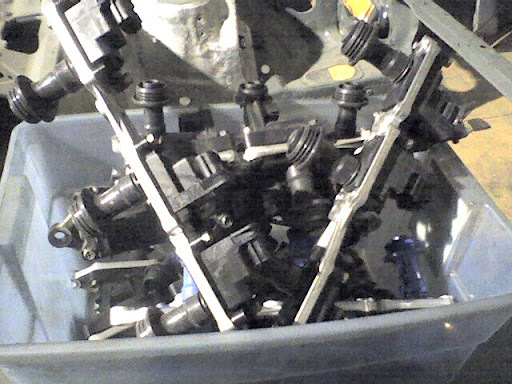 6 individual throttle bodies. Cars have done over 1000 whp on stock throttle bodies. 86mm. 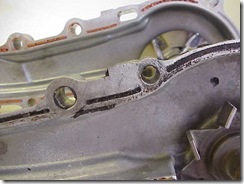 Stock pistons are oil cooled. 1.5 mm top ring, 1.5 mm 2nd ring. 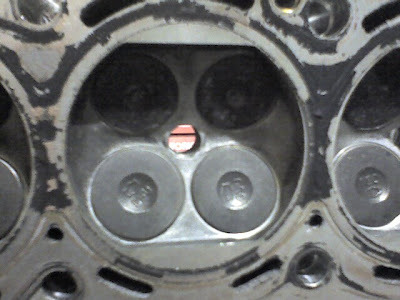 #4 being the center main bearing and containing the thrust bearing. 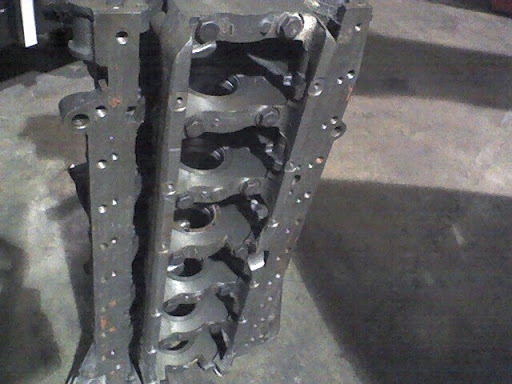 The other six main bearings are all the same construction. 05U on the side. A standard block. 65mm. Each will meter air up to about 200 whp each. The R34 uses a different cam drive for the sensor. Rear inlet piping collapses under boost.Replacing it with hardpipe is recommended. 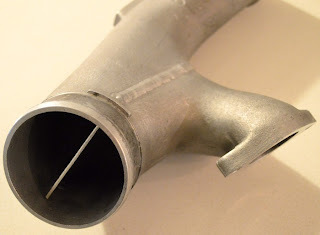 The stock outlet piping causes the air out of the turbocharges to come together roughly. Stock intercooler will provide better response to approximately 600 wheel horsepower. 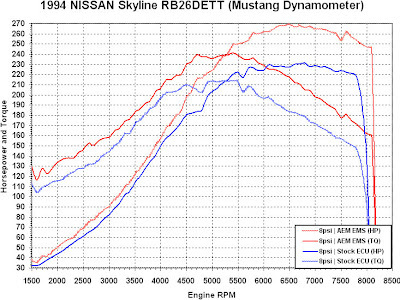 Buy RB26 , RB26DETT parts here. Gasket kits , water pumps , timing belts , camshafts. New OEM, and aftermarket parts. .